Ainger Place Apartments will offer 72 spacious and environmentally conscious apartments in a mix of one-, two, and three-bedroom layouts. Centered around a courtyard of green space, the three-story elevator building will have on-site parking as well as a fitness area, a community club room and a business center, and is designed as an Enterprise Green Community. The community is 100 percent affordable to households earning less than 50 percent of AMI. 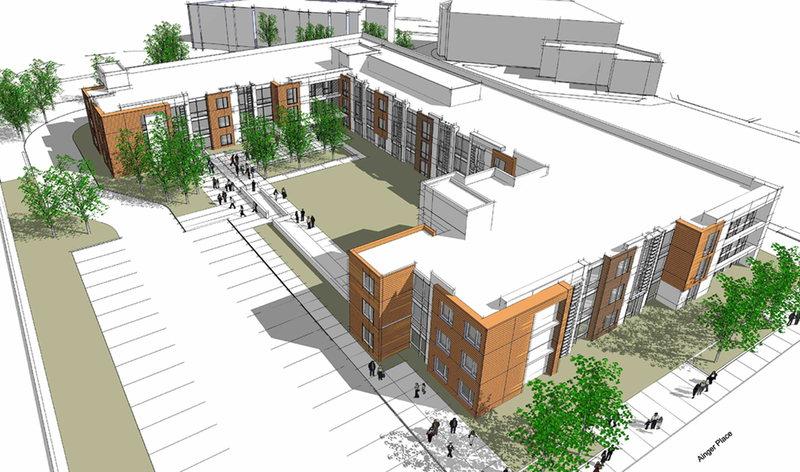 Ainger Place will also incorporate eight Permanent Supportive Housing units for women at risk of homelessness, who will receive individual case management and supportive services. 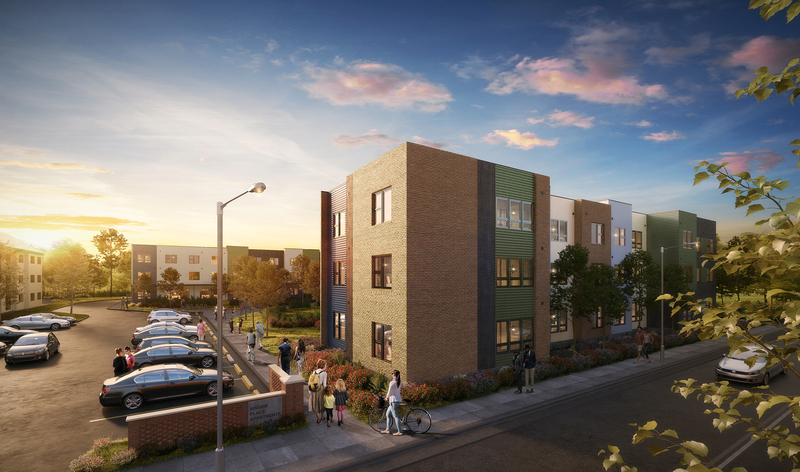 The community spaces will be the site of programming and supportive services from non-profit service providers, including the locally based organization Open Arms Housing. Better Tomorrows will provide additional services.